Potholes are an inevitable fact of life. Potholes can appear on roads, parking lots and home driveways. Potholes are caused by numerous factors including, moisture damage, freeze-thaw damage, pavement base failure, heavy traffic loads and other factors. Potholes pose a liability to both vehicle and pedestrian traffic. 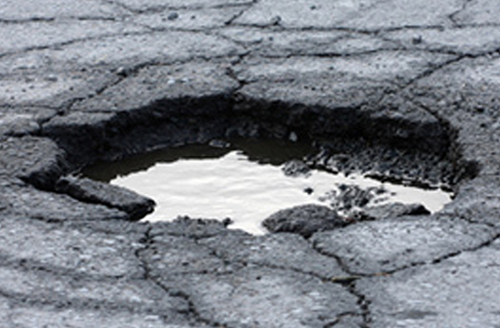 Potholes can cause flat tires, bent rims, vehicle alignment issues and, in some cases, auto accidents may occur. Recent statistics have indicated that potholes cost American drivers over $6 billion dollars per year. 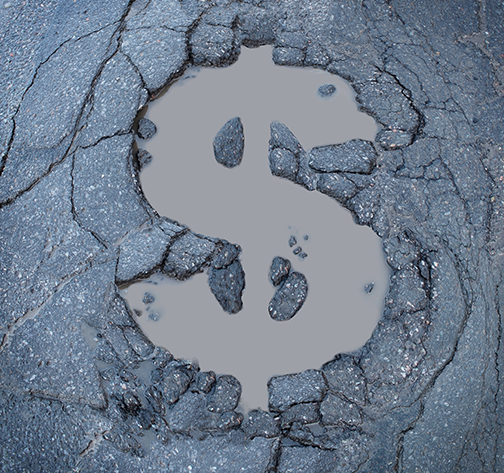 Typical cost to repair potholes is approximately $35 to $50 per pothole. There may be an initial mobilization cost of about $100 to $150 to bring trucks and crew out to the repair site. 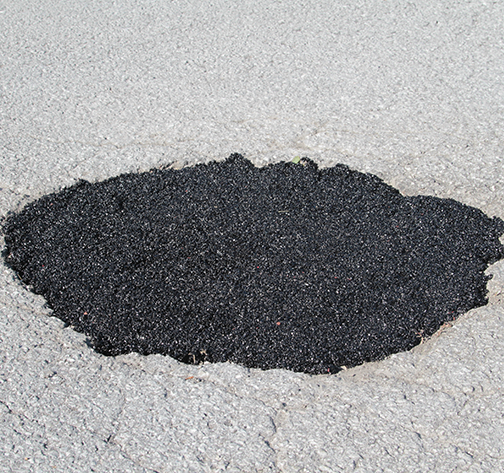 Size of potholes as well as materials used can also affect the repair cost. 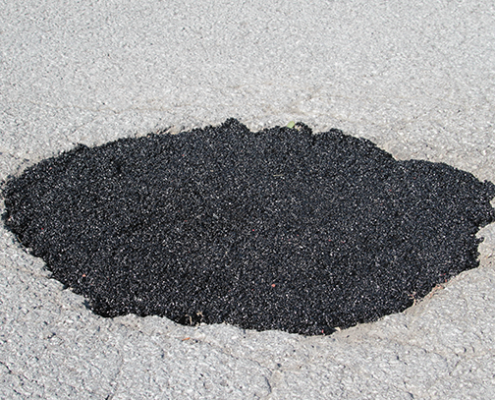 Potholes are typically filled with either cold-patch or hot asphalt (blacktop) material. 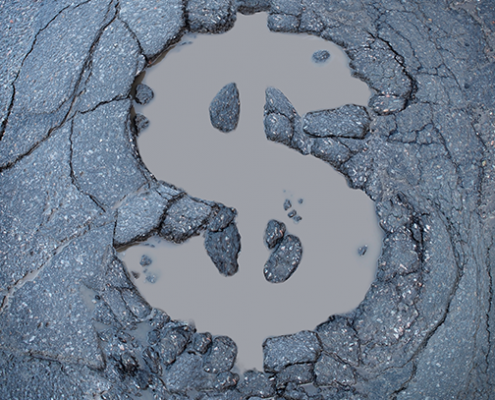 IMPORTANT TO REMEMBER – Fixing potholes costs money, but not fixing potholes with cost significantly more money.